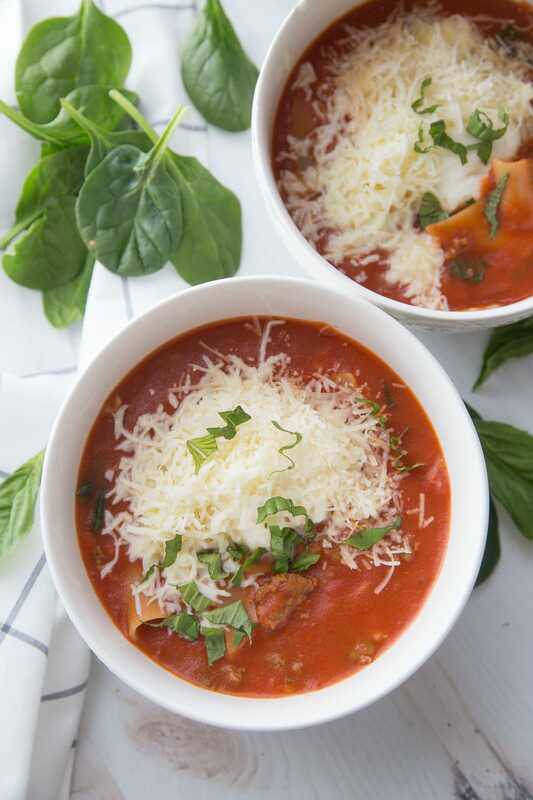 A healthy, gluten-free Instant Pot Lasagna Soup that tastes like it’s been cooking all day, but comes together so quickly thanks to the Instant Pot. 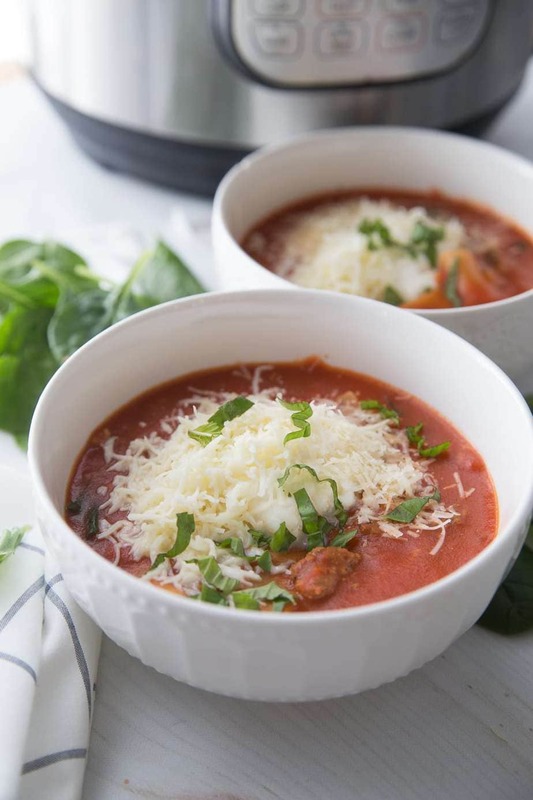 The perfect cold weather comfort food for the 21 Day Fix and Weight Watchers! Confession: I am literally a year behind posting this. I am constantly in a battle with time…and wishing for it to slow down. And then realizing that it was last January when I first made this recipe, well, I know who is winning that battle. Anyway, I want to say that I think this one is worth the wait. I hope, anyway. 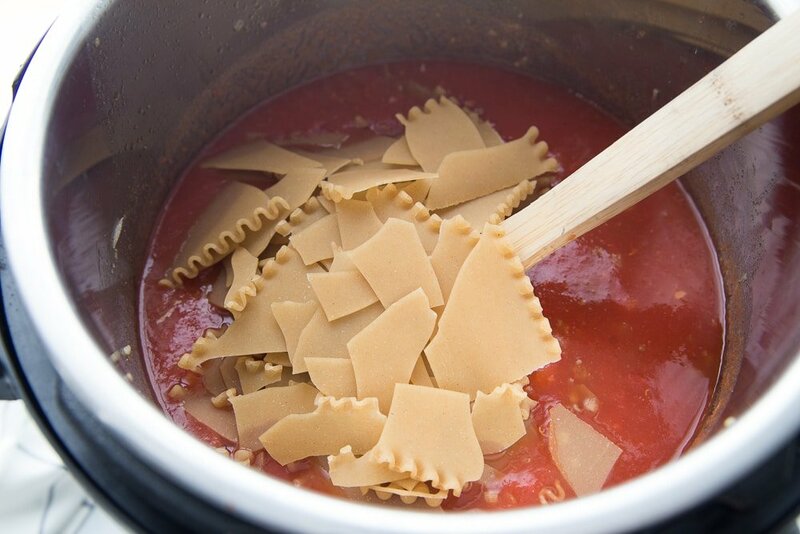 There are actually a ton of lasagna soup recipes out there, and I sometimes shy away from recipes like that, but I believe mine holds it’s own. I wanted this recipe to be simple, yet delicious. And I also really wanted to eliminate the need for a jar of sauce or a pot homemade sauce that many other Lasagna Soup recipes call for. I try to do this in a lot of my recipes – the Baked Ziti, Italian Chicken Skillet, because, well, jarred sauce is expensive! And I love stocking up on canned tomatoes for my pantry, so I usually have them on hand. 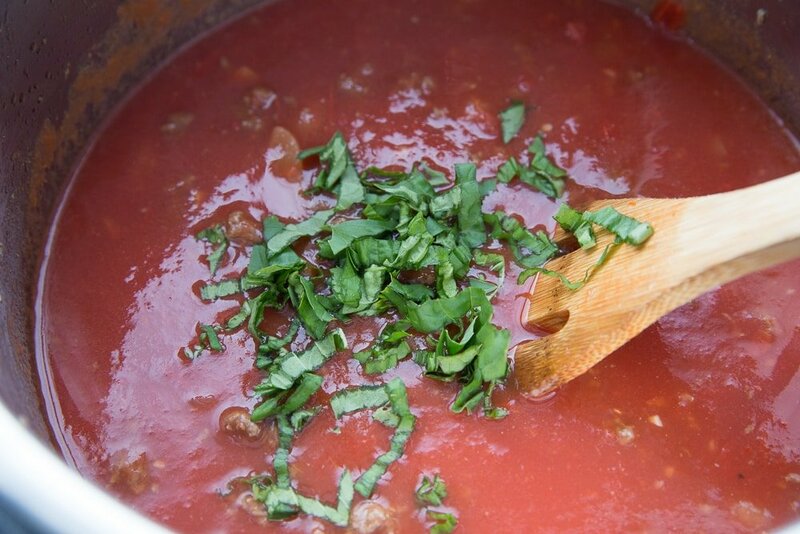 I think this has great flavor with all the garlic and fresh basil! 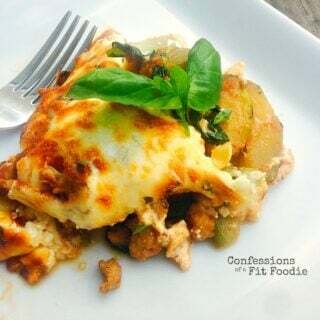 My husband is a big Italian chicken sausage fan, so we used that for this recipe, but you can use ground turkey or ground beef if you prefer. And if you want to swap out the can of tomato sauce for jarred sauce or homemade, go for it! If you are a regular follower of my blog, you know I have a lot of lasagna recipes out already…they all have one thing in common. They are “lazier” than your average lasagna, and this one is no exception! In fact, this might be the laziest of all! It’s almost like an even more lazy than the others…like a lazier version of my lasagna roll ups which are pretty darn lazy! 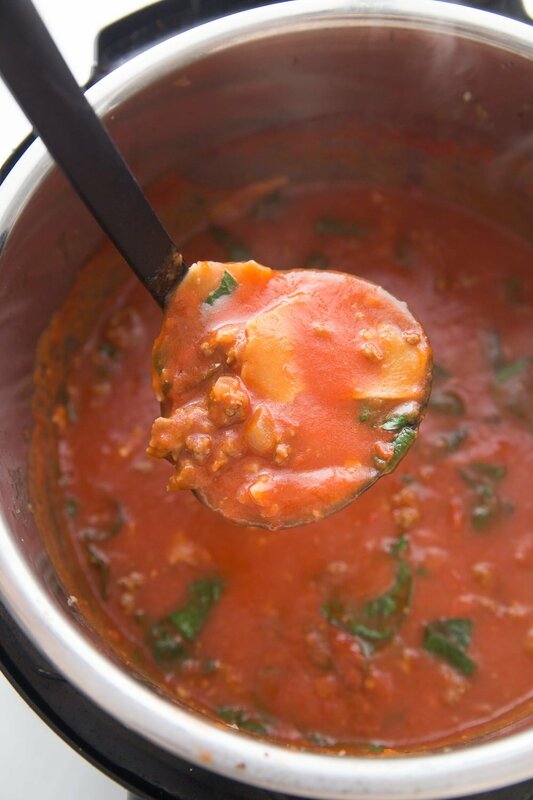 To make this Healthy Lasagna Soup even healthier, I added some spinach for extra green power! You can hide lots of veggies in this if you want – zucchini, mushrooms, more spinach! 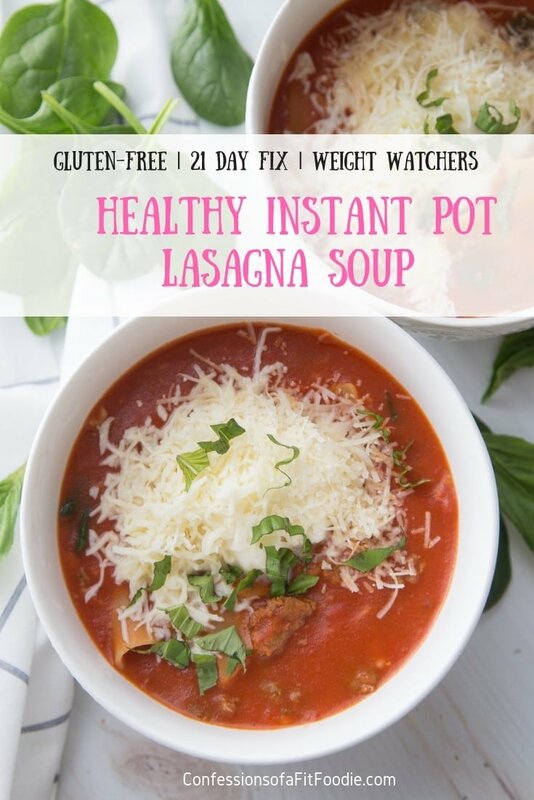 And to keep this Healthy Instant Pot Lasagna Soup gluten free, I used brown rice lasagna noodles. If you aren’t gluten free, you can sub whole wheat noodles for the same cooktime. Of course it wouldn’t be lasagna soup without the glorious CHEESE! I topped this with a little ricotta, mozzarella, and parmesan…but if you are dairy free, you can skip or top with some vegan cheese! Delicious either way! Looking for more Healthy Lasagna recipes? Check out these posts! 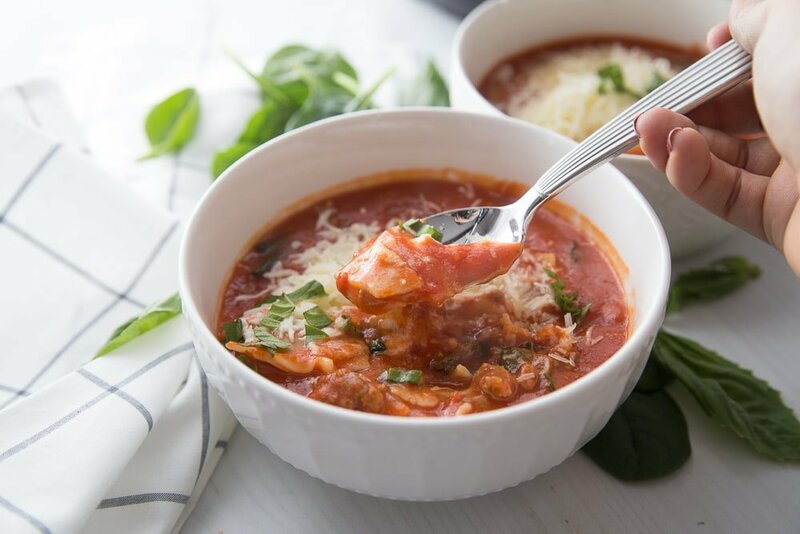 A healthy Instant Pot Lasagna Soup that tastes like it’s been cooking all day, but comes together so quickly thanks to the Instant Pot. 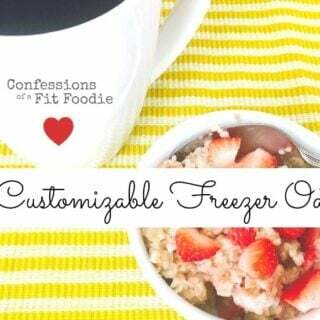 The perfect cold weather comfort food for the 21 Day Fix and Weight Watchers! Set IP to saute and add olive oil to the bottom of the pot. Remove sausage from casing and saute until cooked through. Add in onions and saute until translucent. Add in garlic and cook for an additional minute. Deglaze pot with chicken broth, then add in tomatoes and lasagna noodles. Stir in 1 T fresh basil. Place lid on Instant Pot and lock. Cook for 6 minutes on manual. After cook time, do a quick release. Stir in fresh spinach until it wilts. 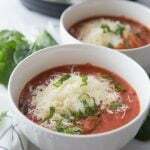 Ladle into bowls and top with 2 T mozzarella, ¼ cup of ricotta cheese, and 1 T of parmesan cheese. Garnish with additional basil. Weight Watchers FS Points – with part skim mozzarella, FF ricotta cheese – 9 points per serving. 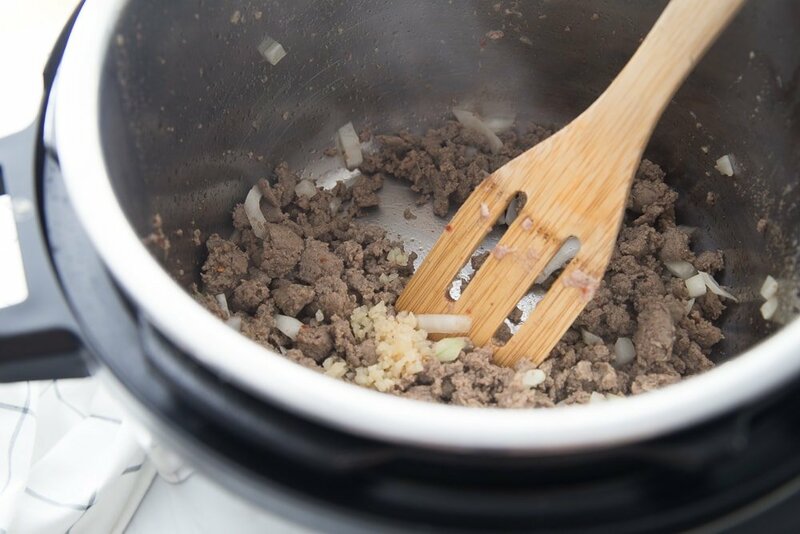 Using 99% lean ground turkey – 6 points per serving. I’d really like to print this recipe, but the social media buttons on the side cover up the ingredient quantities! I am looking into this ASAP – thank you for letting me know, Sarah! Thank you!!! I tried everything to get them to go away, but they’re stubborn! 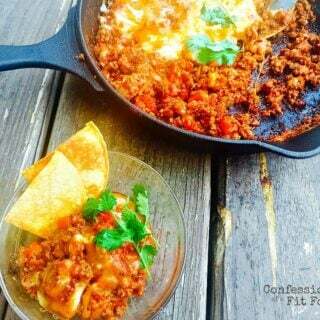 Nancylynn, this recipe is amazing ! I made it for dinner last night and just had leftovers tonight. Soo delicious! I’m absolutely in love with this! Thank you for creating/sharing this ? You have no idea how happy this makes me, Samantha! Thank you for taking the time to comment on this recipe and make my day! I am SOOOOOO happy, Melissa!!! Thank you for taking the time to write and comment – it means so much!! 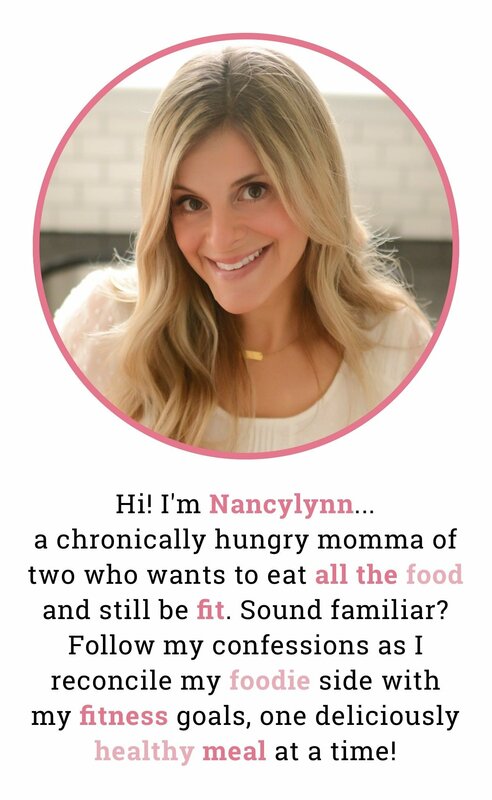 Holy crap Nancylynn! I’ve made a healthy amount of your recipes and a) I haven’t met one I didn’t like… but B) THIS!!!! I would even consider omitting the noodles because I think it would still be just as delicious and also… wine. Thank you so much! BRAVO! Did we just become best friends, lol? Finding ways to cut yellows is my favorite thing, and I am with you – you can make this with zucchini no noodles and I would eat it every night! Just gimmmme my cheese and wine! Thanks so much for taking the time to write (and for making my day!!). This is amazing!! I traded the spinach for finely chopped zucchini because my kiddos do not like spinach. I love your recipes as I have a son with a dairy allergy and your recipes, like this one, make meal preparation easy and healthy. 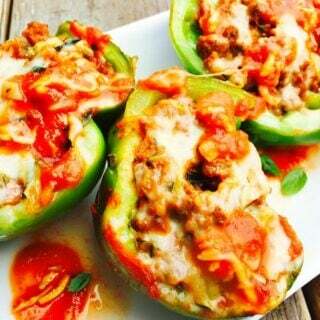 Thank you for sharing great recipes! I am so glad, Kristy!! Yes – I try as much as possible to keep the dairy either out or as a finishing step! I hope he enjoyed the soup, too! Thanks for writing such a great note! Do you think Broccoli and mushrooms would be ok to add? I was just at the store and I totally forgot to buy spinach. This is the 1st time using my Instant Pot… is the pressure setting high or low? I assume I push Soup and then adjust the time to 6 min. Hi! You can use the manual or pressure cook setting for this…or the soup button! Your choice! And yes, high pressure. Most recipes are written for high pressure unless they say otherwise :). I love the idea of adding mushrooms…and you can add broccoli, but with 6 minutes of cooktime it will really fall apart. I would eat it that way, but I just wanted you to know it will be very soft/mushy! Just made this and it is amazing!!! Love that I k ow what I am having for lunch for the next two days as well! Thank you for sharing!! YES!!!! I am so happy to hear it, Hope! I don’t have an Instapot – so many out there – what would you recommend buying? Hi! I always recommend people start with a 6 quart DUO. 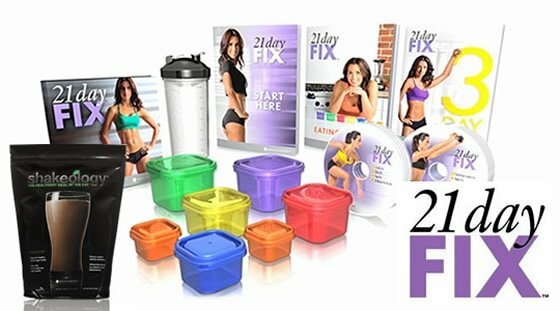 There was recently a sale on Amazon – might still be! Another great recipe! My husband says it’s another keeper. Thank you Nancylynn! Yay! That’s awesome, Mary! Thank you for taking the time to let me know! Wow! My whole family devoured this tonight and we have leftovers for tomorrow! Win! That makes me SOOOO happy!